This post is aimed at editors, but it should be useful for anyone who plays a role in the audio storytelling process. 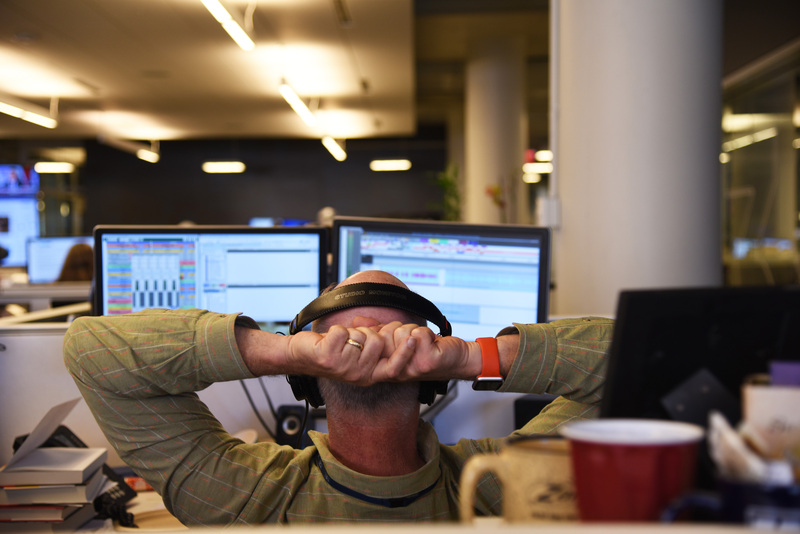 The first edit of an audio story should always be an ear edit: The reporter reads the script live for you and plays the cuts — either in person or over the phone. This first edit will be your only chance to hear the story as a listener would. The audio is surprising, the narrative is fresh, and you don’t know exactly where it’s going. That doesn’t mean you can’t have a paper script in your hand, but it’s important that you don’t read along. The script is not the story; it’s simply a physical representation. If you haven’t listened to the story and all of its sonic elements, you haven’t edited it. Think about how you read “print” news in a newspaper or online. You skim. You skip around. You take cues from headlines, images, and pull quotes. If you miss a detail, you can scroll back. That is not how we listen to audio stories. Ideas, voices, and sounds pass by our ears one by one, and then they’re gone. It is a linear experience. And once a listener gets confused, the forward momentum of the information outpaces their ability to comprehend what’s happening. At best, the listener is asking, “What was that?” a second too late. At worst, he/she is completely lost. If you — the editor — read a script rather than hearing it, your eyes may skip around. That name you missed — well, you can just look back up the page to find it. That “actuality” (a quote) that looks great on paper might be too long or short, inaudible, or confusing. The promise of scene sound (“ambience”) might look practical on the script but sound faint or confusing. Your reporter’s writing may look good but sound stilted. The transitions between “tracks” (reporter’s narration) and sound may not be seamless. Finally, if you’re reading along, you may see where the story is going; thus, ruining your ability to judge whether the piece is well-paced or has a strong arc. Just like the listener, you — in this first edit — need to experience some surprise, some aha moment, or some suspense as you hear the piece. Reading along becomes a crutch. Even if you think you’re multi-tasking — reading and listening at the same time — you are crippling your ability to experience the story as a listener would. In that first ear edit, it’s important to focus on the macro. This is not the moment to bring a microscope to your reporter’s prose. When did I tune out or get bored? What was the purpose of the story and is the purpose clear? When did the story make clear, powerful points? When was the audio hard to hear or distracting? Is anything essential missing? Is the story fair? Does the structure of the story make sense? What are the beginning and middle, and do they lead towards the end? Is information revealed at the right time? Does tension build through the piece? When did I smile, laugh or feel happy? You might not immediately know why you felt confused, bored, happy or weird. Just note the moment during the edit, and then go back and look more closely at it with your reporter. Trust your instincts! And if the story feels unfinished, don’t hesitate to send your reporter back for more tape and/or reporting. Better now than later in the process! And if you’re timing the story, don’t forget to check your stopwatch (or smart phone). How long is it? Does it merit the time? Should be shorter or longer? Look down at the script quickly when you hear something you want to note, make a mark on the script, then quickly look up again. Make quick, simple marks along the margins: For example, mark an “?” near a section that confused you. Add a checkmark beside a moment you liked. If you tuned out or got bored, note roughly when in the piece that happened (use a stopwatch or smartphone to get at least a rough time on the story). If one section raises a clear question, note it and ask why. Don’t worry yet about grammar, word choice or line-by-line writing. Save that for the second and third (and fourth, if there is one) edits. If you focus too much on one thing you hear, you’ll miss other parts of the piece. Just note it, and then return to it. For example, let’s say some audio is hard to hear, and your first instinct is, “I couldn’t hear that.” But what if, almost instantaneously, your next thought is, “Wellll, maybe it’s clear enough … ?” After all, we’re all busy, and we can only solve so many problems at a time. Trust your first instinct! Listeners only have one chance to hear a story, and it’s likely they have distractions while listening. If you, while listening closely, couldn’t hear something well, there’s no way a listener — going about her life, driving a car, walking down the street — will hear it. 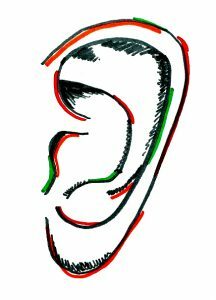 When we talk about ear editing in workshops, we hear some concerns and obstacles repeatedly: It takes too much time. It’s logistically challenging when working with reporters who aren’t in the same office. I worry I’ll miss things in the story. Just like any workflow, figure out efficient, clear systems. Since an ear edit is an edit in real time, listening to the story should take no longer than the story’s length. That is — as long you and the reporter already have a shared understanding of how the edit will happen (i.e. Will the reporter will send you the actualities before the edit? Will the reporter play the audio over a phone?). Once you’ve heard the story, the conversation about what’s working and what needs to change shouldn’t take any more time than any other editorial conversation would take. Also, remember: The time you spend on this edit is time well spent. Of course, editing always requires triage and hard decisions about time management. But since we’re making stories with sound, editing the sound is essential, not a luxury for the moments when time allows. If you find it hard to immediately offer editorial advice after hearing a story, build in the time to think things through; let your reporter turn to another task while you synthesize your thoughts. But remember — your initial impressions are essential because they are most similar to the impressions your audience will have. Don’t try to be so comprehensive after this first listen that you miss the forest for the trees. Remember, this is a first, “macro” edit. This is not the time when you dissect grammar or double-check numbers. Let yourself off the hook for those things. Our minds are not capable of accurately assessing everything about a story — from frame to structure to characterization to wording — in one listen. Be realistic with yourself and your colleagues about what this edit is intended to achieve, and what it isn’t. Talk with your reporter about the issues that arose during the first edit. This is the “Big Picture” or macro edit; without additional edits, the process will be unfinished. For now, puzzle together through the moments that confused you or felt slow. Build on the strong parts. Flag parts that you think may need more polish in future edits, but don’t get into the weeds yet. When your reporter returns with another draft, it’s less critical that you only listen. Depending on the circumstances, it’s OK to pair listening with a closer look at the script. Now, it’s time for “Fine Point”/micro-edits. Look closely at syntax and grammar (though remember — radio writing isn’t always perfect grammar, since we’re writing for the voice!). This is the opportunity to polish the writing, weed out echoes and clichés, and fine-tune how the tracks fit with the tape. Here is some excellent advice on how to talk your reporter through these edits. And for those of you transitioning from print to radio, this guide can teach you more about the role of sound and listening in edits. Thanks to NPR editors Bruce Auster, Ken Barcus, Andrea DeLeon and Brett Neely for their suggestions on this post. Alison MacAdam was a Senior Editorial Specialist with the NPR Training team, where she focused on audio storytelling. Prior to that, she edited All Things Considered.